The Texas Tech Red Raiders are headed for the Final Four for the first time, and guess what? They’re not going anywhere after this, either. Meanwhile, the Texas Longhorns and TCU Horned Frogs are preparing to take New York City by storm and more transfers hit the market. Plus, Red Raider fans should prepare for a week of unparalleled Chris Beard rumors. Here is this week’s Good, Bad and Ugly for Big 12 Basketball. Even before Texas Tech played its Elite Eight game against Gonzaga Saturday night this Red Raiders season should have been considered one of the most successful in program history. Beating the Zags, getting to 30 wins this season and reaching their first Final Four in school history is, well, icing on the cake, really. After all, the Red Raiders were picked seventh in the Big 12 by the coaches at the start of the season. With these back-to-back Elite Eight showings, the Red Raiders are showing that they’re not a good basketball team. They’re a good basketball program. And there’s a difference. These back-to-back Elite Eight appearances are the first in program history. In fact, last year’s Elite Eight appearance was the first in school history. 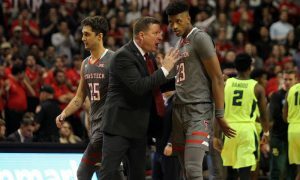 Some of us thought head coach Chris Beard and the Red Raiders would take a step back this year due of losses like Keenan Evans and Zhaire Smith, the latter of which ended up as a first-round NBA pick. The Red Raiders lost five seniors from that team and haven’t always been the most consistent basketball program. Now they’re the seventh basketball program from Texas to secure a spot in the Final Four. Congrats to #TXTech on making the #FinalFour for the first time in school history! 7th Texas school to make the Final Four all-time. Instead of falling back the Red Raiders moved forward, and that’s why they’re turning into a program. 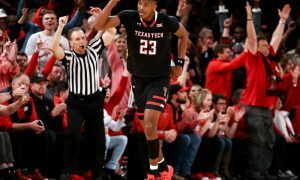 Jarrett Culver grew into an almost certain NBA Lottery pick and won Big 12 Player of the Year honors as the Red Raiders won a share of the Big 12 regular-season championship for the first time. Culver was the third option on last year’s Elite Eight team. Davide Moretti, who scored about five points a game last year off the bench, emerged as the Big 12’s most consistent 3-point shooter. The quality play of transfers Matt Mooney and Tariq Owens gave young players like Deshawn Corprew and Khavon Moore a year to grow without pressure, and they should take another step next year. Even the unfortunate quarterfinal loss to West Virginia in the Big 12 Tournament didn’t sap the Red Raiders’ momentum in the NCAAs. Beard kept them motivated and ready to play each night. The Red Raiders are not going anywhere. They may lose Culver to the NBA and players like Norense Odiase to graduation. But the vast majority of this team is returning next season. Plus Beard has the No. 14 recruiting class in the country coming to Lubbock, according to 247Sports.com. That includes Duncanville, Texas, guard Jahmius Ramsey, a player 247Sports considers the Red Raiders’ top overall recruit since 2000, replacing Khavon Moore, who held that title after coming to Lubbock last season. A team is good for a year, maybe two. It has a high water mark and then it falls away. But a program is one that remains good and reloads every year. When you think of programs, you think of Kansas. You think of North Carolina. You think of Duke. I’m not saying Texas Tech is in that rare air just yet. But that Beard’s goal in Lubbock. He wants to build a program that can succeed year after year after year and at a high-level. 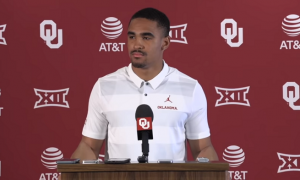 It’s the type of program that his mentor, Bob Knight, was unable to fully achieve in Lubbock. Beard is building one of the best success stories in college basketball. It will make him attractive to other programs. And we’ll go into the week Red Raider fans can expect when it comes to Beard and coaching rumors in the Ugly section. But, looking ahead, dominance isn’t just a Jayhawk anymore. You have to include the Masked Rider in the argument now, too. 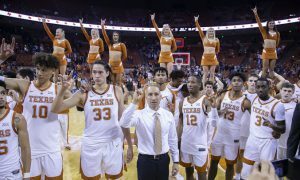 After Texas lost to Kansas in the Big 12 tournament, I tweeted out that I felt it would be better for Texas to end up in the NIT because it would give their young players more playing time. I figured in the NCAA Tournament the Longhorns would be a one-and-done team. In the NIT, they could make a run all the way to New York City. It turns out I was right. And I don’t get to be right very often. Texas is now headed to New York City for the NIT Final Four. No it’s not as prestigious as the NCAA tournament, but it is vital to Texas as a program going into next season. My logic was simple. Head coach Shaka Smart has a lot of young talent that should be coming back next year. We’re talking about players like guard Courtney Ramey and Jase Febres. 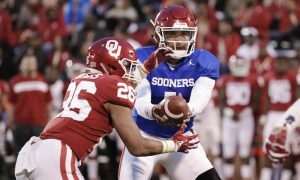 There’s even the possibility that Jaxson Hayes could come back, considering he’s out with a knee injury (ESPN.com considers him to be a potential lottery pick). And if you haven’t seen the recruiting class for the Longhorns for next season, you should because it starts with a five-star center in Will Baker, a true 7-footer from local Austin Westlake High School. The class, overall, is No. 11 in the nation, according to 247Sports (just a spot ahead of Texas Tech). 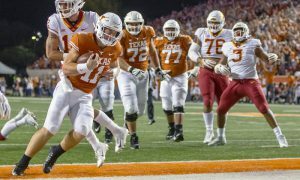 In their three straight wins the Longhorns have had some gut-check moments and played their way through all of them. Perhaps they’re finally maturing as a team. And when you think about how they’ve done, with Ramey and Febres acting as great complements to seniors Kerwin Roach and Dylan Osektowski, you have to be impressed with what Smart has for the future in Austin. I know Longhorn fans were hoping for the NCAAs. But imagine how disappointed you would be had Texas gone to the NCAA Tournament and simply lost in the first round. The standard is higher at Texas. We all know this. Longhorn fans want more than the NIT. And the success of Rick Barnes at Tennessee certainly isn’t helping Smart’s case in Austin. But regardless of what happens in New York City, Smart got exactly what he wanted out of this — a run to the NIT in NYC. He received more games to work with these young players. They have an opportunity to win a championship at the end of next week. It’s what every coach is looking for regardless of what the tournament might be. When TCU writes the book about the end of this season it could be their second NIT championship in three years under head coach Jamie Dixon. It could also mean sending out their seniors, Alex Robinson and JD Miller, with some more hardware. Both were a part of that 2017 NIT team. No matter what happens in New York City this week, Robinson leaves TCU as its all-time assist leader. That was a mantle that I think some folks thought Jaylen Fisher might assume one day. Instead it’s Robinson, who transferred from Texas A&M before that NIT run, who leaves as the most decorated passer in school history. I still believe there’s room for this guy on an NBA roster next fall. His ability to weave through traffic and make the right pass almost every single time is a difficult asset to find in the NBA. Robinson may not make an NBA roster, but it would not surprise me at all for him to find a spot on a G-League team. As for Miller he leaves the program as one that scored 1,000 points for his career. That’s pretty rare at any college program. In fact, the Horned Frogs had three players pass that threshold this year — Miller, Robinson and Desmond Bane (Bane is the only one set to return next year). But this is the last run to New York city is for Robinson and Miller, two players who have put in the time to make TCU a better program. Whether the Horned Frogs win the tournament or not, those will be two big holes to fill next season for Dixon and his staff. They can’t have two. Texas and TCU play each other in the NIT semifinals. So the league is guaranteed to have an NIT finalist. But with a little more creativity, this could have been an NIT/Big 12 championship game as opposed to an NIT/Big 12 semifinal. Oh well. It’s still going to be fun to see who wins the rubber match between the Horned Frogs and Longhorns on Tuesday night. Iowa State forward Cameron Lard announced his intention to transfer earlier this week. Lard missed the first part of the season after a suspension due to off-the-court issues that required a stint this summer in a Boston wellness center. It was his third suspension. Lard averaged 5.6 points and 2.8 rebounds this season after a great freshman year for the Cyclones. He never got his playing time back, thanks to the Cyclones’ talented freshman class and the play of Michael Jacobson. The Cyclones are probably hoping he’ll be the only one, but ISU could lose more players as the offseason continues. ESPN.com considers guard Talen Horton-Tucker a potential Top 20 NBA selection and there’s a chance Lindell Wigginton could decide to take a shot at the NBA as well. Lamont West and Andrew Gordon announced their intention to submit their names to the transfer portal this week. 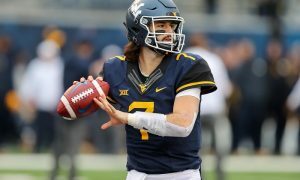 West was in line to be a starter next season and played a significant role in West Virginia turning around its fortunes at the end of the season. That’s a big loss for the Mountaineers, who didn’t have a lot of upperclassmen experience even with West on the roster. But this graphic puts West Virginia’s entire season into perspective. The Mountaineers now have four scholarships to recruit with for the 2019-2020 season. 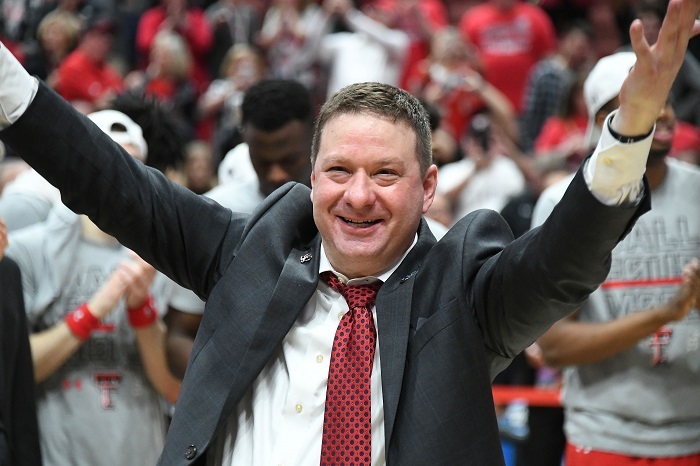 The unintended consequences of a run like Texas Tech’s is the fact that now EVERYONE knows who Chris Beard is. The third-year Texas Tech coach is going to have to field a lot of questions about his job this week in Minneapolis. Plus, you’re going to see national writers connect him to jobs around the country. It’s inevitable. I follow some of them on Twitter. They knew who Beard was, but they also know how the coaching market works. This is a watershed moment for the Red Raiders and for Beard, who toiled as an assistant or a non-Division I head coach for more than a decade before taking the head coaching job at Arkansas-Little Rock four seasons ago. Now he’ll be the first name for every big-time opening in the country this year. Fortunately for Red Raider fans the pool of big-time openings is not very big. Beard isn’t leaving for any old job (if he leaves at all), so it’s going to take a serious job to lure him away. And there are four as of this writing — Arkansas, Texas A&M, Vanderbilt and UCLA. They’re serious because they’re in big-time conferences and one, especially, always has a national profile — UCLA. The Aggies have supposedly offered their job to Virginia Tech head coach Buzz Williams. Jon Rothstein of CBSSports reported Saturday the Aggies have a $3.5 million contract waiting for Williams, should he take the job. Beard’s current contract pays him $3.175 million per. How much more happiness does $300,000 buy you in College Station? Arkansas and Vanderbilt are nice jobs because of their traditions, but Beard would be rebuilding to some degree at both places. Those jobs aren’t worth his time. That leaves UCLA. Now there’s a legacy to assume. The Bruins need some rebuilding but you’re in play for every recruit in the country. Their exiled coach, Steve Alford, was making about the same as Beard is now. So if the Bruins were so inclined, they could up the ante. Maybe $4 million a year? So expect to hear a lot of that this week. A lot of speculation and a lot of dot-connecting. Now that I’ve depressed you, here is why I think you have nothing to worry about, why I think Beard is staying in Lubbock no matter what. Despite being a Georgia native, his life is wrapped up in Texas. He grew up in Irving, Texas. He got his degree at the University of Texas. He got his master’s degree at Abilene Christian. He worked his way up the assistant and Juco head-coaching ladder until landing a spot on Bob Knight’s staff in 2001. He didn’t leave for a decade, even when the program transitioned to Bobby’s son, Pat. When he finally had to he took a job coaching pro basketball in South Carolina for a year. His next stop was at McMurry College in Abilene, followed by Angelo State out in San Angelo, Texas. That’s the job that got him to Arkansas-Little Rock. 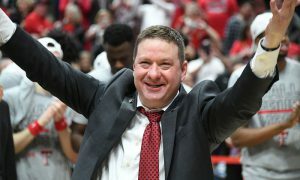 He took the UNLV job after his one season at UALR, but when the Tech job opened up Beard couldn’t wait to get back to Lubbock. That told me a lot about where Beard wants to be. Plus, you can’t money whip Tech for coaches anymore. Programs used to be able to do that. Not now, not with all the money flowing through the Big 12. Tech will likely get $35 million in revenue share from the Big 12 this summer and they can simply tear up Beard’s contract and divert some of that money that way. With an average football program, Beard now coaches the marquee athletic program at Texas Tech. That’s currency when it comes to contract renegotiation. I don’t think the other programs can offer Beard what he already has at the moment. He has history in Lubbock. He has three daughters that live nearby and surely wants to watch them grow up. And he has a program on the verge of being truly and consistently dominant. The grass isn’t always greener on the other side, folks. Beard knows that. So let the world have their rumors this week. At the end of this he’ll be back on the bench in Lubbock next November, perhaps defending a national title. Of that I’m nearly certain.